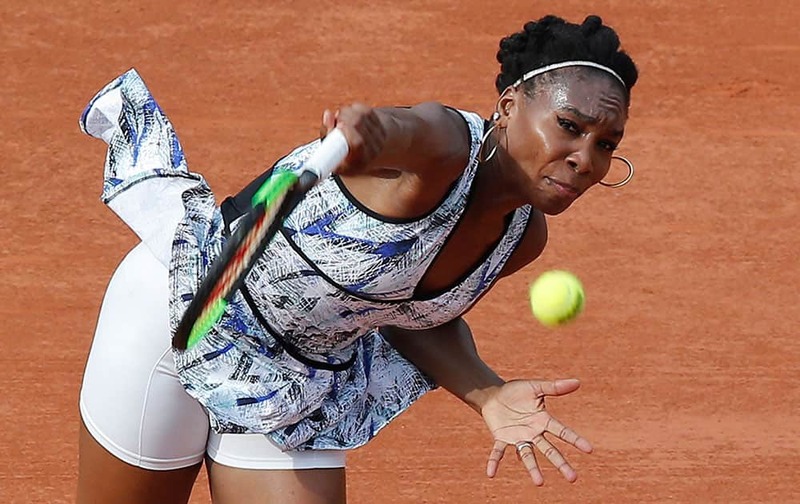 Venus Williams of the U.S. serves against Chinas Qiang Wang during their first round match of the French Open tennis tournament. 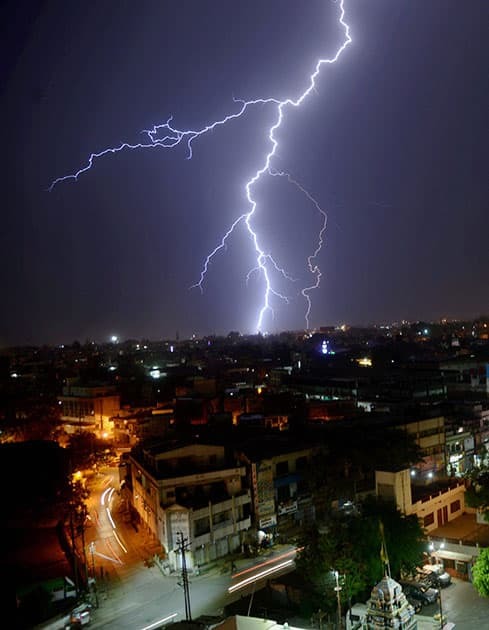 A view of lightning in the sky in Jabalpur. 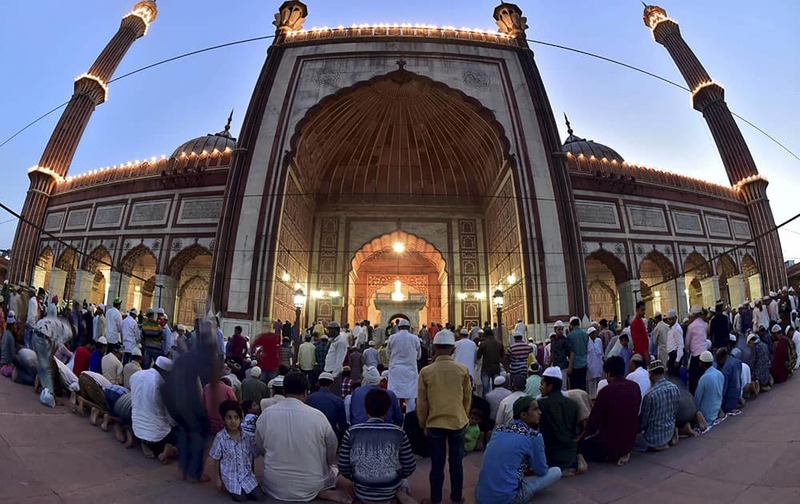 Muslims pray on the occasion of first day of fasting holy month of Ramadan at Jama Masjid in New Delhi. 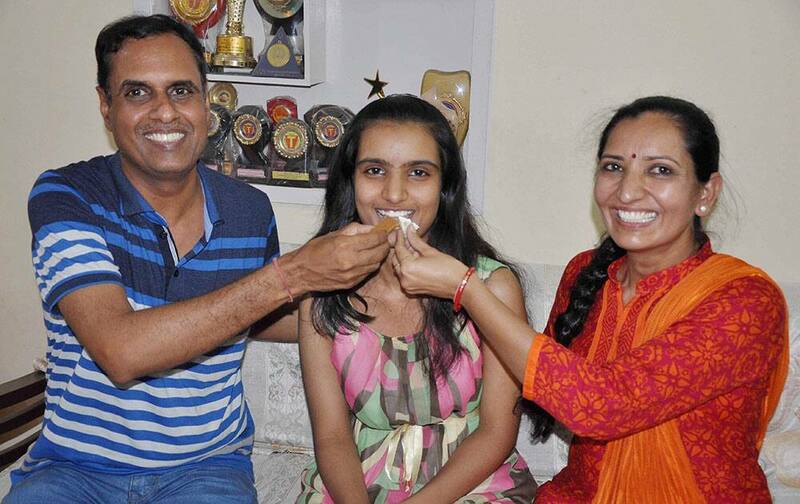 Bhoomi Sawant who ranked 2nd in CBSE 12th class examination being offered sweet by her parents in Chandigarh. 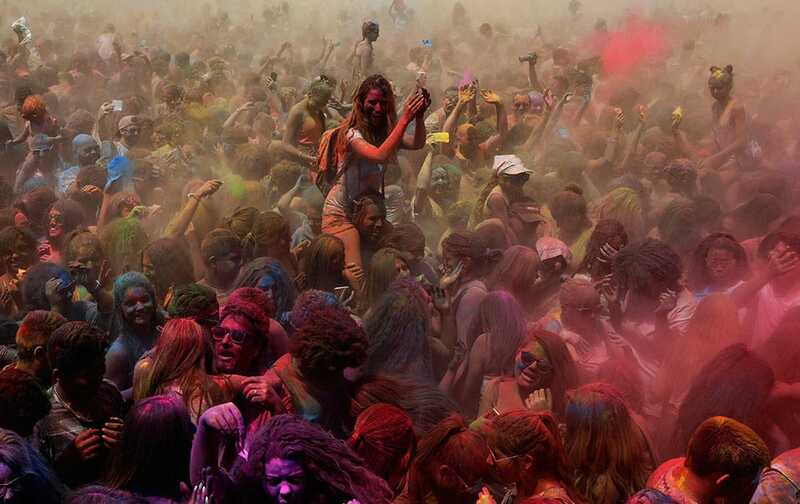 Visitors play the Holi Festival of Colours throw special colored powders in Santa Coloma de Gramenet, Spain. 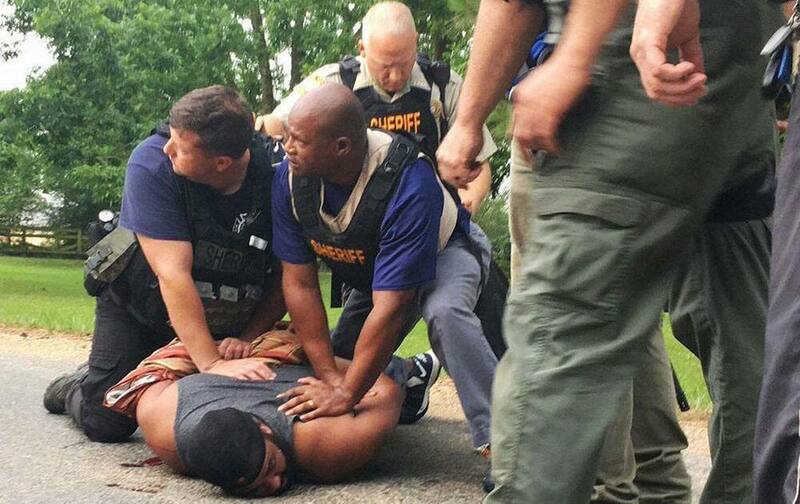 Officers arrest suspect Cory Godbolt, following several fatal shootings Saturday in Lincoln County, Miss., officials said.